is thrilled to be back at Kokandy for Heathers! 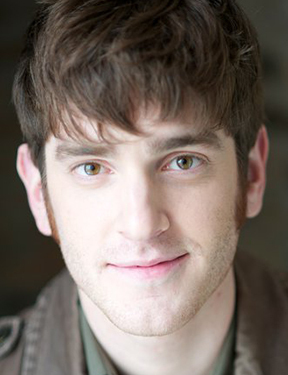 He was last seen in Spring Awakening (Marriott Theater) and Dogfight (BoHo Theatre Ensemble). Other theatre credits include: Three Sisters (Steppenwolf Theater Co.), Short Shakespeare Macbeth (Chicago Shakespeare Theater), The Full Monty (Kokandy Productions), Magic Treehouse: A Night in New Orleans (Emerald City Children’s Theatre), A Marvin Hamlisch Songbook (Theo Ubique Cabaret Theater), Triumph of Love (Music Theater Company), and The Reckoning of Kit & Little Boots (First Floor Theater). Garrett received his Bachelor of Arts Degree at North Central College. Thanks to Mom, Dad, Alyson, Ryan, and friends and family for the constant encouragement and love!